In a disturbing video that has gone viral on the Internet, a senior police officer can be seen repeatedly molesting and groping a lady police who is trapped in a sea of police in Coimbatore, Tamil Nadu. 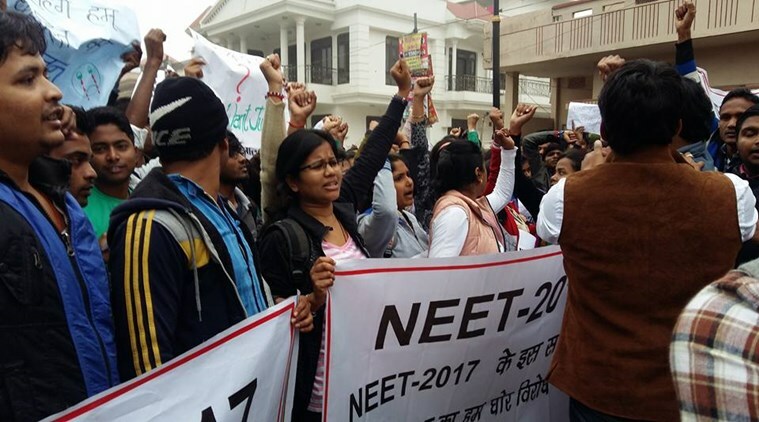 The incident took place in Gandhipuram area of the city on September 4 during protests against the medical entrance test NEET. The lady police in the video is a sub inspector and the senior police officer is the Assistant Commissioner (AC) Jayaram. 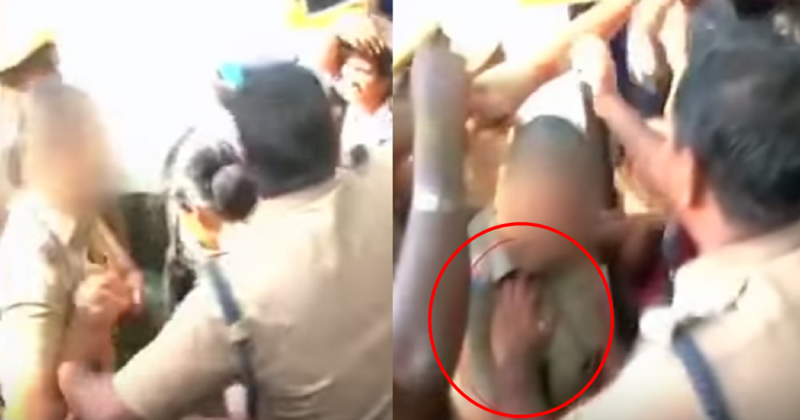 The struggling woman cop attempts to push away his hand over and over again but to no avail. The video itself shows that even women police are not safe in the city. The incident happened when the students were protesting the death of 17-year-old Anitha, who took her life as she could not get a medical seat. Anitha, the daughter of a daily laborer, hailed from a village in Ariyalur district. She had scored 1,176 out of 1,200 in her Class 12 State Board examinations. She had approached the court against the common entrance exam for medical colleges NEET, arguing that it would affect the prospects of poor students from rural areas from getting a medical seat. She couldn’t score high marks in the NEET to secure a medical seat and committed suicide on September 1. However, the woman police officer has not filed a complaint against her senior. “I didn’t even notice that it was a woman standing in front of me. I am sure I didn’t do it repeatedly. Media is putting the visuals on loop and showing me in a bad light,” he alleges. An internal investigation into the case has been ordered. No action has been taken against the Assistant Commissioner as yet. However, what has been justified from the police officer’s side is that his actions were not intentional. After the incident came to light, Coimbatore Commissioner A Amalraj said that the inquiry into the matter is underway. Despite, the video going viral, no action has been taken against the Assistant Commissioner yet.